By CNN'S BARBARA STARR, ALAA ELASSAR AND EYAD KOURDI CONTRIBUTED TO THIS REPORT. 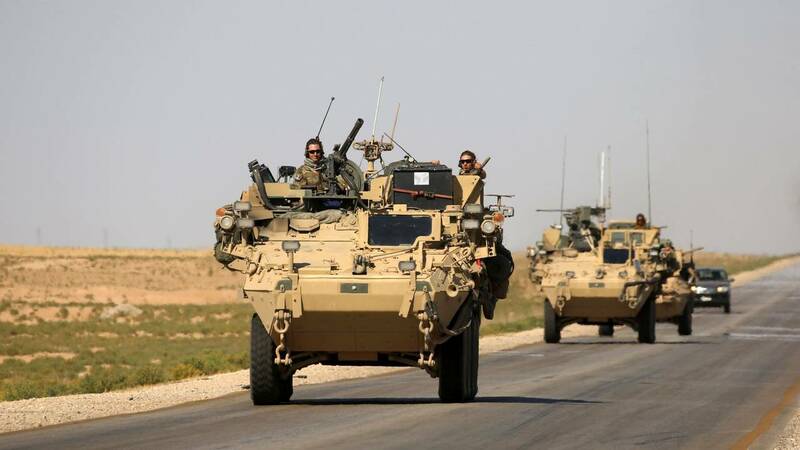 (CNN) - ISIS claimed responsibility for a suicide attack targeting a joint US and Syrian Democratic Forces (SDF) armored convoy south of the city of Shaddadi, Syria, on Monday, the SITE Intelligence Group reported citing the ISIS-affiliated Amaq News agency. There were no American casualties in the bombing, Col. Sean Ryan, spokesman of the US-led international coalition, told CNN. "We can confirm a combined U.S. and Syrian partner force convoy was involved in an apparent VBIED [vehicle-borne improvised explosive device] attack today in Syria. There were no US casualties. We will continue to review the situation and provide updates as appropriate," Ryan said. The attack comes after ISIS claimed last week's suicide bombing in the northern city of Manbij that left 14 people dead, including four Americans. Service members were "conducting a routine patrol" at the time of the explosion, the US-led coalition Operation Inherent Resolve said. Amaq said Monday's attack was carried out by a suicide bomber with an "explosive-laden vehicle" which hit the convoy. Although some media outlets reported a small number of casualties the SDF denied that, saying "there were no casualties or injuries in the attack," according to Ibrahim Ibrahim, Media Coordinator for SDF. "A car bomb driven by a suicide attacker targeted the patrol, our forces dealt with it successfully and did whatever was necessary to prevent this attack causing casualties," Ibrahim said. "The terrorist attack that targeted the mutual patrol between our forces and the international collation has failed due to the awareness of our forces and it didn't accomplish its goals, losses were material only," he added. The former US envoy for the anti-ISIS coalition said Monday that "ISIS is not defeated" nearly a month after President Donald Trump announced he was withdrawing troops from Syria on the premise that the US had defeated the terrorist group. Brett McGurk, who resigned last month because of Trump's decision, made the comment in an interview with CNN's Christiane Amanpour just hours after the attack targeting US forces occurred.